It has to be said, no one can out cute Japan in the food department! One of my favourite haunts is a little local indie cafe. They make all their own bread and pasta and all the dishes are cooked from scratch. They only ever have 4 meal options each month, two dishes are dutch oven based, one with bread (below) and one with rice then two pasta dishes. 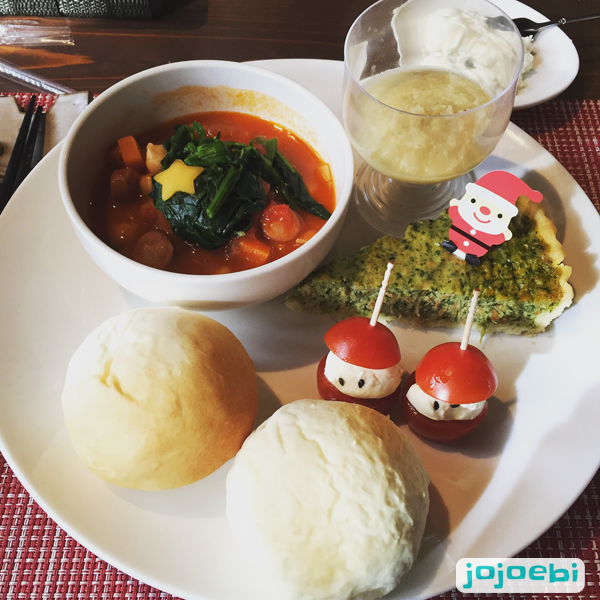 The dutch oven dish was decorated with spinach and a star, the quiche had a cute Santa pick and the mini tomatoes were stuffed with mozzarella to make them into mini Santa's too! The snowman was missing a nose! 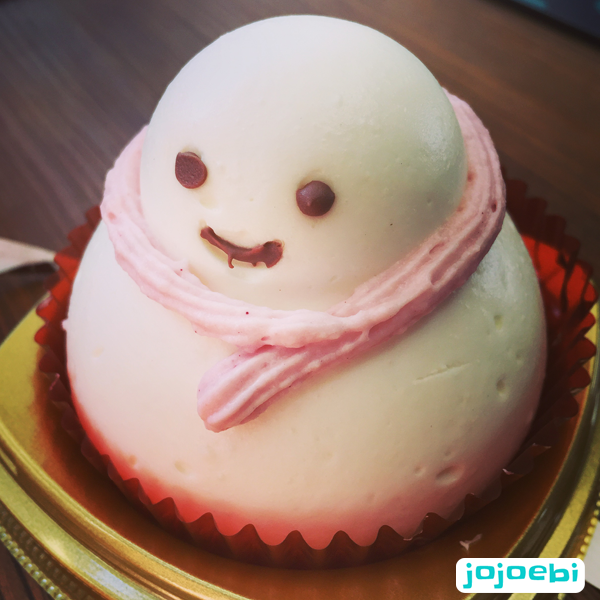 But he was made of cheesecake, a little bit tart, with strawberry inside. 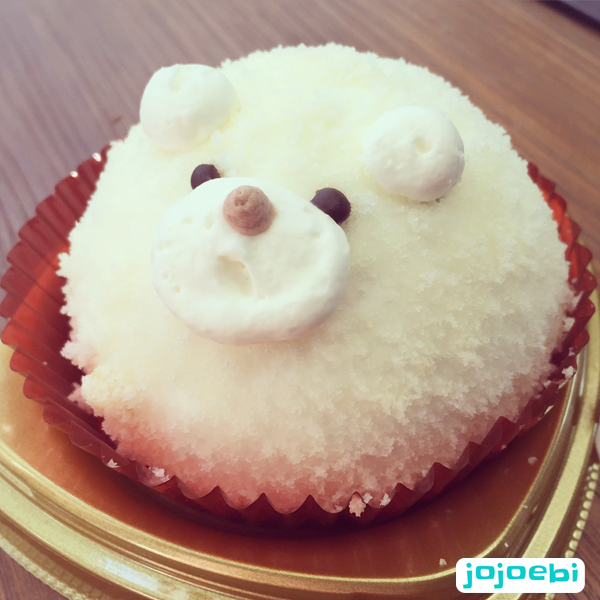 Out of the two, this tasted better but the polar bear won on the cuteness factor! And I did share them with Ebi-kun, I was going to suggest he ate them for Ebi-kun eats but sadly there were gone before I was able to get the phone out! I think we are well and truely over the cake thing now, looking forward to a month or two of fruit and juice and green smoothies! Although I won't say no to a sneaky Bailey's every now and then.